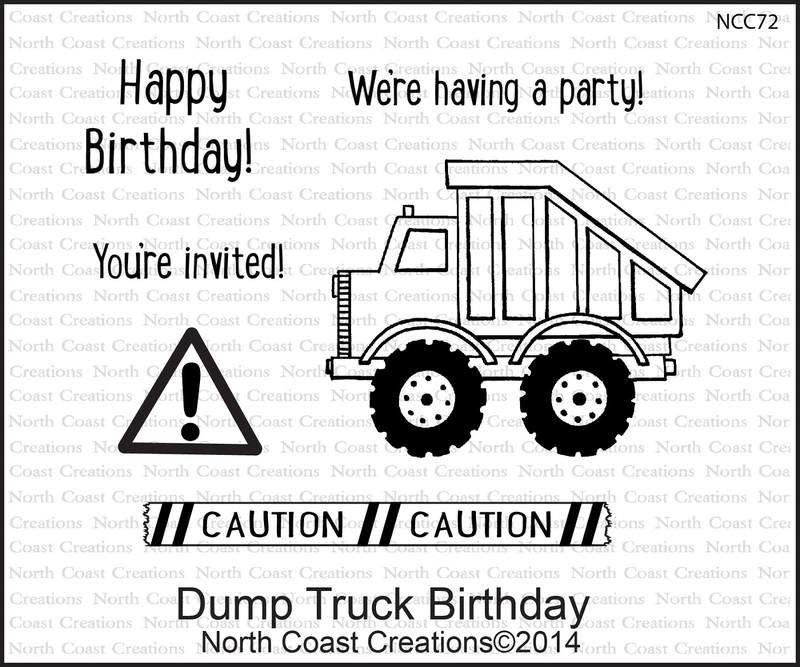 Today, the NCC DT is sharing projects created with the December Release, my card uses the Dump Truck Birthday stamp set along with additional stamps and Custom Dies from Our Daily Bread Designs. I paper pieced the Dump Truck with papers from Echo Park and popped up the wheels for added dimension. Using a SAMJ I stamped the hearts from the ODBD Candy Jar Fillers stamp set on White card stock, then die cut the panel using the ODBD Circle Ornaments Die, layering on Black card stock that was cut with the ODBD Custom Matting Circles Dies. 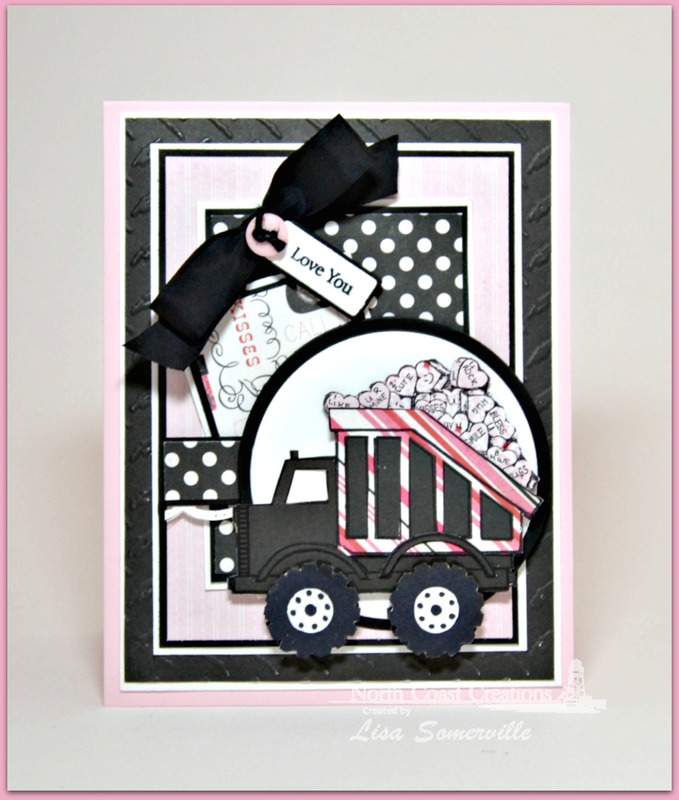 I stamped the hearts again on scraps of the pattern paper and adhered over the stamped image, then added the paper pieced dump truck, popping it up on dimensionals. The tag was stamped with a sentiment from the ODBD Mini Tag Sentiments stamp set on White card stock, die cut using the ODBD Mini Tags Dies and layered on a Black panel that was die cut with the same die. To embellish I added Seam Binding, Black twine and a button. How cute Lisa! Love the little hearts popping out from the truck! Super cute, Lisa!!! Next time I use this image, I will have to search for something clever to put in the dump bed.....thanks for the inspiration!! HUGS! !